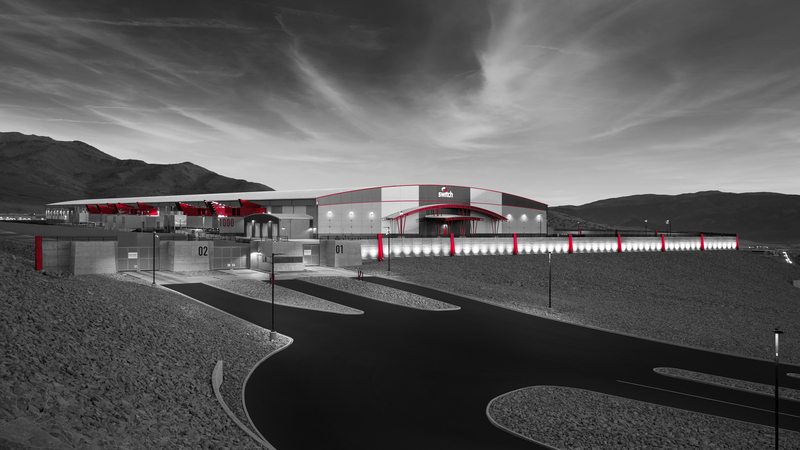 LAS VEGAS — Switch (NYSE: SWCH) the global technology solutions corporation that is powering the future of the connected world®, today announced that it has entered into an exclusive agency agreement with CBRE, the world’s largest commercial real estate services and investment firm. CBRE will be the exclusive broker of Switch’s Tier 5® Platinum colocation data centers at its PRIME campus locations in Atlanta, Grand Rapids, Tahoe-Reno and Las Vegas. The agreement brings the global commercial real estate services of CBRE to Switch’s strategic expansion and deployment across the U.S.
CBRE’s powerful network of over 450 offices worldwide in more than 100 countries presents a tremendous alliance for Switch to continue to attract the world’s leading companies to its data center ecosystems. CBRE will also deploy a highly specialized team of data center brokers to colocate business users at Switch’s world-renowned,100% renewably powered data centers. “The alliance with CBRE provides a vast sales and marketing network that will expand Switch’s already robust sales pipeline to reach more enterprise corporations who seek to house their mission-critical data in the world’s highest-rated data centers,” said Switch Chief Information Officer Missy Young. Switch has more than 800 clients, including many of the world’s leading global enterprise and Fortune 100 corporations. CBRE Group, Inc. (NYSE: CBG), a Fortune 500 and S&P 500 company headquartered in Los Angeles, is the world’s largest commercial real estate and investment firm (based on 2016 revenue). The company has more than 75,000 employees (excluding affiliates), and serves real estate investors and occupiers through approximately 450 offices (excluding affiliates) worldwide. CBRE offers a broad range of integrated services, including facilities, transaction and project management; property management; investment management; appraisal and valuation; property leasing; strategic consulting; property sales; mortgage services and development services. Please visit our website at www.cbre.com.